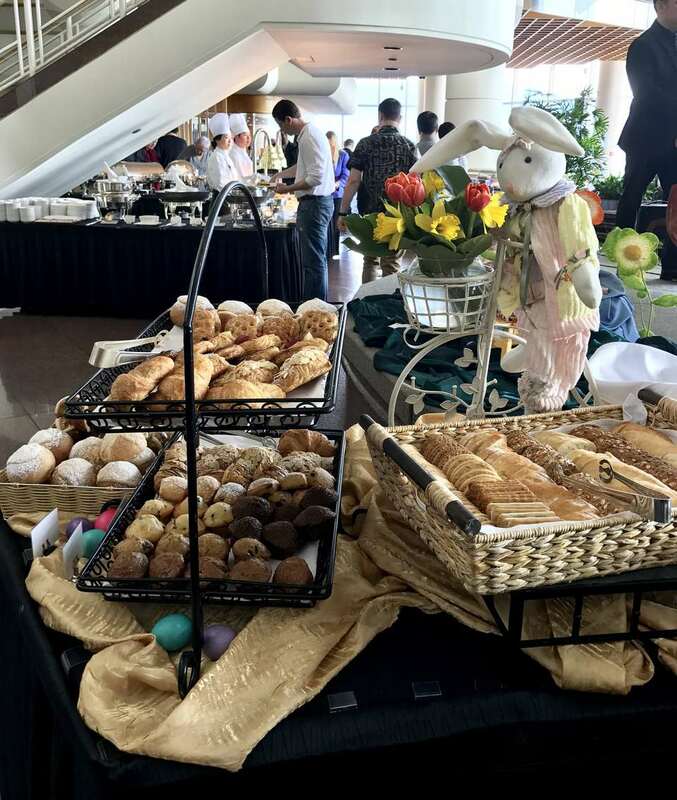 Memphis goes all out for Easter Brunch. Here's where to find it. For many people Easter brunch is an annual family tradition. It brings together the entire family for a holiday that doesn't get quite as much fanfare as Christmas or Thanksgiving. Sure, you could put out an entire Easter spread with baked ham, mac and cheese, and glazed carrots yourself. Or you can head to a number of Memphis restaurants who o the hard work for you. Some of these brunches will actually be served in the afternoon so you can go to church in the morning and still enjoy an elegant brunch. And don't forget to look the part; dressing up is a large part of the fun. There is no more elegant establishment in Memphis than The Peabody Hotel. This historical property has been attracting the city's well-heeled crowd for decades. Take the family for a lavish brunch buffet on the mezzanine overlooking the lobby of the Peabody. The food is amazing; you can choose from breakfast and brunch items ranging from waffle stations to omelette bars. Save room for dessert; there is an enormous buffet. $46.95 for adults, $14 for children. Make online reservations. On any Sunday Owen Brennan's, a New Orleans style restaurant, is famous for their brunch. On Easter Sunday, it's even more spectacular. There is a salad station, a seafood station, a bread station, and a dessert station. You can get Pasta Jambalaya or southern friend chicken for your main. Or you can opt for the carved roast beef. To top it all off there is a live jazz band that will keep things swinging all day long. The adult buffet is $39.95. Children 6 to 10 $19. Ages 5 and under are complimentary. Call for reservations. After you're done eating head up to the roof to take in views of your surroundings. It's a spot you can enjoy with your family all day long. Originally built in 1913 The Majestic Grille is a Memphis staple. It's aim is to bring patrons back to earlier days when Hollywood stars frequented the hot spot. The Beaux Arts decor has been tastefully restored, and the cocktails are classic and delicious. Every year this restaurant has an annual Easter Brunch. The food is a mix of classic salads and sandwiches to creative breakfast burgers, smoked salmon hash, and sausage frittata. Make your reservations by calling 901-522-8555. Patio seating will be offered on a first-come, first-serve basis. This downtown establishment has it all: great food, a sophisticated ambiance, and a menu that consists of everything you want to eat for brunch. The restaurant focuses on locally grown and organically source ingredients, which means it's healthy for you also. This restaurant is known for its elaborate brunch. Expect breakfast cocktails (spiked pear cider anyone? ), a carving station, breakfast classics, pastries galore. And it keeps the coffee coming. Call 901-334-5950 to make reservations and to find out about prices this year. Bounty on Broad is one of Memphis' newer restaurant and it's all about farm-to-table. The chef buys ingredients locally and prepares the vegetables, meats, and fish simply and full of flavor. The trendy spot has a brunch menu full of treats. Think grilled chicken wings, grits, friend gulf oysters and more. Take your family for a delicious meal and then spend a few hours wondering down Broad Avenue. You'll find art galleries, boutiques, and more, all located underneath a historic water tower.